3.9 out of 5 based on 49 bloggers and 8 commenters. 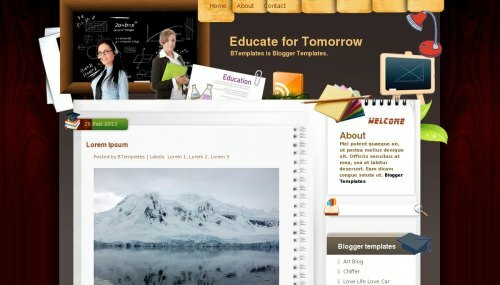 Educate for Tomorrow is a free blogger template adapted from WordPress with 2 columns and right sidebar. , sports news, business news and many other types of news which is easy to read hard to ignore. i dont speak english , please , help me..
How to add menu above, I can’t find ways how to create new post??? Thanks lot for this fantastic template i will get it to my blog !